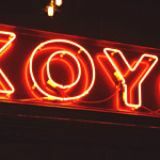 XOYO is first and foremost a nightclub with focus set on a consistent music policy headed by global names (as well as upcomers), their ethos is locked into delivering London an unrivalled weekend soundtrack. What did you think of XOYO? Well looking forward to seeing Attack Attack Attack here at XOYO this Friday! Proper buzzin man! One thing that I really like about XOYO is that you can get served really quickly unlike some other places in the local Shoreditch area. One of my fav nights out. I’d never been before as I’d heard some bad things about security but XOYO is definitely worth checking out! Sick venue, soundsystem, lights etc and security all seemed friendly enough to me. Definitely one of the best London clubs I’ve been to. I don’t know what all the fuss about doormen is on this page? I don’t know how can you judge a club or a night out on the bloody security who are just doing their job! I love XOYO, they always put on decent nights and the crowd is always on a good vibe when I’ve been in there, I guess mainly because the security keep the idiots away! Keep it XOYO! I LOVE XOYO! Such a brilliant club, music is always great. I came here the other week to see James Murphy at the birthday celebrations for XOYO. I can't believe how much the club has changed in the last year. Before the sound system was average and the space was a bit strange, but now it's been sexed up a bit with great lighting and decor and so much more sound clarity. The crowd were up for it and the room was packed. Brilliant stuff. Favourite London club. There's always a good crowd at XOYO, can't wait for my next trip to see Bicep for a residency party this weekend! One of the best nights out in London!Huge upgrades to the sound system and lighting over the years have made Xoyo probably the best night for me in London!Yeah the queues r still huge but a big queue can only show 1 thing - the nights r the best here! !I always go on a Monday and Tuesday for there student nights, sometimes even on the weekends to see the big DJs play! 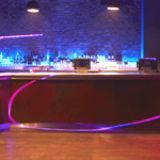 Have so much fun with my friends there, great drinks prices, friendly staff and cool music! LOVE IT!!! Decided to go for a night out with a group of friends to one of the Saturday nights at XOYO. This was our first time at the club so we had no idea what to expect. Made an enquiry about guestlist and table bookings on the website. Very quick response from the staff. Offered our group free entry (if you come before 10pm) and table with no mandatory bar spend. Amazing offer compared to any other big London nightclub. A guy called Lev was handling our online booking – very fast to reply and always professional. Big thanks to him. Getting into the club was no problem. The bouncers were polite and not pushy. There was enough of them for you to feel safe if some nasty stuff happened but they weren't being rude or getting in peoples’ way, just like it should be. Overall, great music, good mix of people. Good selection of drinks at very reasonable prices, including beer on tap. Everyone really enjoyed the experience. Would be a pleasure to party there again. XOYO's always a good night out, the bar staff are friendly and the location is great. Also, unlike many similar venues there's actually a selection of drinks available. The decor of the place is also simple but stylish which I liked, the style and decor of the club doesn't need to be special and the acts and events that take place are the main attraction. Tickets for events are reasonably priced, overall i'd reccomend XOYO for a great night. Always have an amazing time when I go to XOYO, the line-ups are always phenomenal, the sound systems awesome, the staff are always really friendly and helpful (handy for when you've had a few too many! )and I just always leave with my mates thinking I've had a sick night. Massively recommended, already got my tickets for a few more events at the beginning of December! Bring on Mike Skinner and Bugged Out! Amazing sound system, friendly staff, reasonable drinks prices, always have an impressive line up, smoking area is a good size, door staff are very helpful, toilets are reasonable sizes and clean. What more else could you want? I spend most of my weekends at this venue and I love it! I’ve been to XOYO a few times before, it’s a decent club for its size and always seems to get a good crowd of ravers. I went back last week for the first time in a few months and the security seem to have chilled out a bit, which definitely helps the whole vibe. Xoyo is not the best club in London, but it’s definitely worth checking out! My only criticism about XOYO is that for a London club the drinks selection wasn’t half limited. 4 stars. Me and my friends came here last weekend to celebrate a birthday and was such a mint night out, really looking forward to trying XOYO out again. Can get way to busy here at xoyo in Shoreditch, the queue can get proper mental, specially at the wkend. The décor here at XOYO is meant to be a little grimy and rundown, adds to the look and feel so don’t know why other reviewers have commented on it. ITS MEANT TO LOOK LIKE THAT. I love it here at XOYO. LOVE XOYO in Shoreditch! Proper decent night out here, have been a few times now and never not enjoyed myself. Came XOYO club with some friends on Friday night and had such a good evening guys! Fair priced drinks and some proper hot honeyz made for a memorable night if you get what I mean haha. I’ve never had a bad night at XOYO in Shoreditch. They play some proper banging tunes and the atmosphere is also spot on. Highly recommend to others. XOYO gets some brilliant line ups and it's always rammed, which is a good thing. 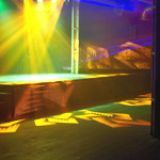 The only problem with XOYO is the design - it can get a bit funnel-y, so you get a train of people walking through the dance floor. Other than that it's ace. Amazing vibe at XOYO this weekend. Managed to get down to Deviation on Friday - can't wait to head to the next one. Best club in East London. I head to XOYO as often as I can. It's always loads of fun and they always seem to attract the right crowd with a good attitude. I think this is because the music is always so good there. The DJ'S always smash it and I just end up partying all night long. It's a proper decent venue and in the perfect area for a night out with party people. All my friends love going there to party and shock it out. The best thing about the place is it's so consistent with what it offers but I always have a different experience. Get yourself down to XOYO immediately if you haven't been yet! Always have a great night at XOYO! Its right next to old street station and a favorite club of mine. Was there recently for one of their nights - Deviation and it was one of the best nights out Ive had in a long time. The bar staff were super friendly and you didnt have to wait an age at the bar for a drink! Excellent venue just off old street tube. No queue to get in, service immediately at the bar. Outstanding music downstairs provided by night slugs, good sound in the centre and trippy lighting! Only downside was the crowded smoking area. 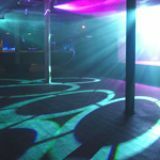 Went London for the first time ever last weekend and decided to party in XOYO for a night of UK garage and House music. It was incredible. The music was fantastic (thanks to Waze & Odyssey and Duke Dumont) and the venue was great, really intimate with an underground feel to it. Because we didn't have tickets beforehand, we went to the club quite early, at 21.45. No queue of course so no bouncer problems here. The bar is quite expensive though. It's probably according to London standards, but 5 pounds for a beer is quite something. Also, they didn't seem to have draft beer/lagers so we found ourselves drinking a bit more expensive tequila beer. Costs aside, this was an amazing party, had the time of my life. Decided to head to XOYO last week with a few friends got to say I will definitely be going back. The music was great and didn't have to wait to long at the bar which is something I always find good. Always got friends coming to visit looking for a good night I have to say this place has never disappointed!! Attended 'Pete Tong' event last night at XOYO. As expected, his set was masterful. Massive shock and disappointment though, given the utterly rude, abusive and aggressive language used toward me by one of the internal door security men. That said, the Head Doorman and owner of the club were very helpful in dealing with the situation - so thank you to them both. I'm assured that this individual would not be returning to work on any further shifts at the club. Having read related issues regarding the behaviour of security staff, it's worth emphasising that as a customer we have the right to lodge a formal complaint with the Security Industry Authority. Each individual security personnel is required to wear their SIA badge at all times whilst working a shift. Their respective ID number is set out on that badge. Love Xoyo! Always great nights and amazing vibes. Super excited for Lindstrøms Album Launch party this Friday. Went to XOYO for the first time last weekend to check out Rudimental. I'd heard so much about the place and how the new sound system was amazing. It was built up so much I didn't think that it would live up to the hype...but it didn't disappoint. The place was buzzing, a pretty full club but not that uncomfortable full that you sometimes get. It wasn't sweaty, which is the one thing that annoys me so much about going out and the speakers in that place...oh my god! The line up was unreal...Rudimental, Kidnap Kid AND DJ Zinc - the list goes on. I will defiantly be heading back there soon! Get A-Trak in please XOYO! Favourite club in London, without a doubt. Ended up there about 4 or 5 times since the relaunch and i can honestly say i haven't had a single bad night. The line ups never fail to disappoint and the crowd is always a great mix (never too many blokes and never rowdy, pretty important factors to me and my mates on a night out) The new soundsystem is ridiculously clear and XOYO is one of the only places in london i dont leave with ringing in my ears. Top club. Love the refurb! Can't believe how much it's changed.. Was there on Friday for Rudimental and had a wicked time. Definitely going back. Could have been good, except that the poor layout and overcrowding meant you couldn't move and were constantly in a crush. It also created an aggressive feeling towards the end of the night as people got too hot and stressed. Two of my friends got groped in the crowds which is really horrible... The staff were lovely and the bouncers were really friendly, but there was nothing they could do because you literally couldn't move. Are there some greedy owners who prefer getting bodies through the door as opposed to ensuring a great night for everyone? Won't be going back. As a student in London I've been to XOYO a few times and overall I can say it's proved to be a quality club with more pros than cons and I would definitely recommend it to students, dedicated clubbers and serious house/disco/bass fans. This club is one for those who prioritise good music and cutting edge artists over exceptionally cheap drinks/cheesy clubbing extras such as UV canons and whatnot. That said, prices are reasonable for the area. 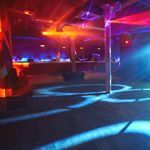 The newly renovated XOYO opens tonight and I cannot wait to see it!